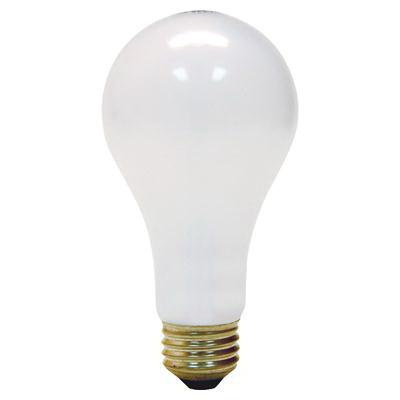 GE Lighting Vibrant™ Light 150-Watt A21 incandescent lamp delivers 2680 initial Lumens of crisp and bright light output. Lamp has voltage rating of 120-Volts. It has E26 medium screw-in base and CC-8 filament. This lamp with 2900K color temperature rating delivers soft white light output. It measures 2.62-Inch Dia x 5.37-Inch. Lamp has average life of 750 hours. Lamp in clear color, features soft glass construction. Incandescent lamp is suitable for use in household applications.